If you've been reading here for any length of time, I think you'll know how much I love a good handbag. I tend to splurge on them because I see a bag as more of an investment rather than clothes or even shoes. A beautiful bag can transform your look, and with careful consideration, it can last for years to come. I've been on the hunt specifically for a black shoulder bag with gold hardware. I always have criteria in mind and this time was fairly simple: easy to get in and out of (no front flap or cumbersome details), no big logos, medium in size, and above all, polished enough for everyday use. Enter the French brand Sézane, which I have fallen completely in love with thanks to some of my favorite bloggers. Do yourself a favor and take a look at their site. So much inspiration! Introducing the "abelle". It has such an elegant look without being overstated. Zip top closure, brushed rounded gold chain that's incredibly light, feet on the bottom, outside and inside pocket, suede and leather body - It really is everything I wanted. Shipping only took a week. I had never heard of Sézane until the Summer, but now I want it all! What do you ladies think? 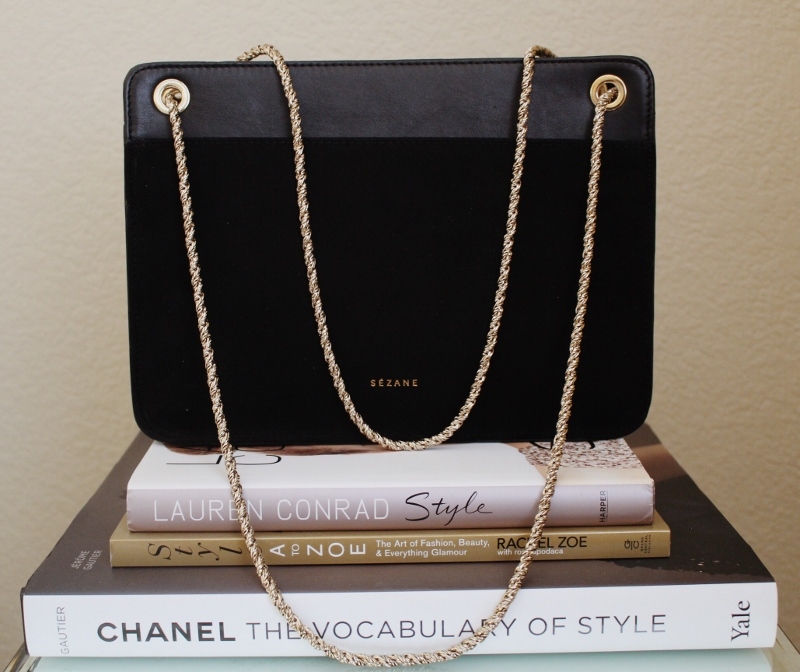 Have you made any exciting handbag purchases for Fall? I've been obsessed with sezane for years, I think I did a blog post about them about 4 year ago. I did purchase one pair of shoes once but they didn't fit. I love their aesthetic, I knew you would love it too. It's so classic. I have never heard of that brand before - and now I'm scared to click the link because I know I'm going to fall in love - your bag is sooo classy and elegant. 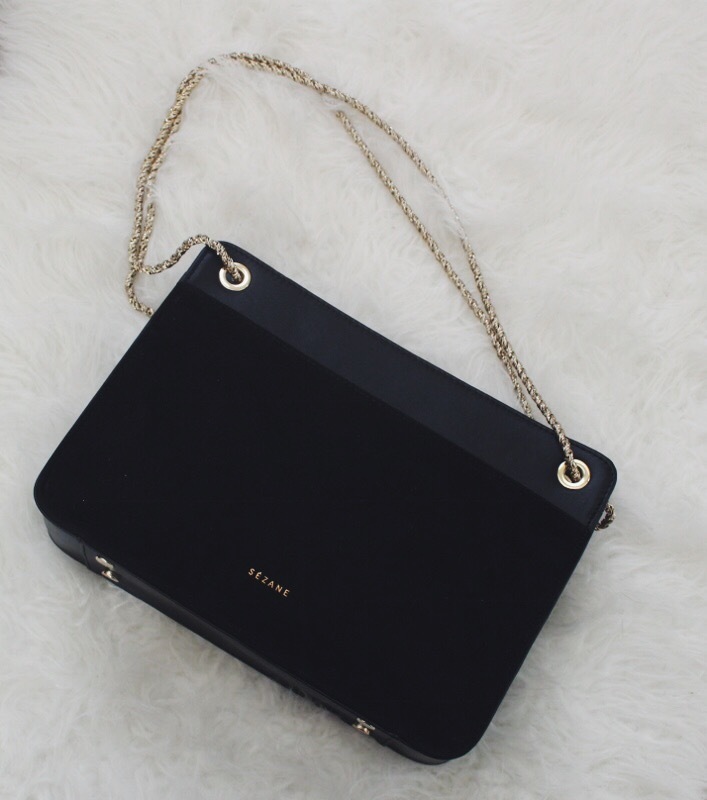 Such a gorgeous bag! It's a classic! I've never heard of this brand before but I love the chic look! This is such a classic piece! Yay for a new handbag! It's gorgeous friend! This bag has your name written all over it! Classic, feminine, perfect! Looks like such a great size and good for dressing up and down!